8-year-old Kreok Cheo in his home village in Mondulkiri province with his MLE-trained teacher Ms. Nhik Pika. MONDULKIRI, Cambodia, 26 May 2015 – There is much that sets Mondulkiri apart from the rest of Cambodia. The province is located in the northeast and, compared to the hectic city life of Phnom Penh, this is a sanctuary. Set in the mountains and surrounded by forests, Mondulkiri is much greener than Cambodia’s more southern provinces. O’Thmar is a remote ‘annex-village’ in Battambang Province, located about 20 kilometres from the official village it is affiliated with. Annex-villages in Cambodia are informal settlements, often remote or geographically isolated, established mainly because of population movement and growth. Their unofficial status usually means that they are cut off from services, including education. Children play with their parents in the playground at Kampong Chhnang Provincial Hospital while waiting for treatment. KAMPONG CHHNANG, PAILIN, BATTAMBANG, Cambodia, 21 May 2015 – It’s a lively morning in Kampong Chhnang Provincial Hospital; the playground room is filled with ochre-coloured sunshine and giggles. A few children are bouncing around on colourful hippo toys while others keep running up and down a bright red slide. Some parents are playing with their children while others are watching cartoons with them. A teenage girl is sitting on the side, lost in her book. How much can you do with clean water? Children of Kokor Primary School collect water from their newly elevated and rehabilitated well (Kokor village, Kampong Cham province). KAMPONG CHAM, Cambodia, 6 May 2015 – At Kokor Primary School, children are eager to use their newly raised well to water their cherished vegetable garden. 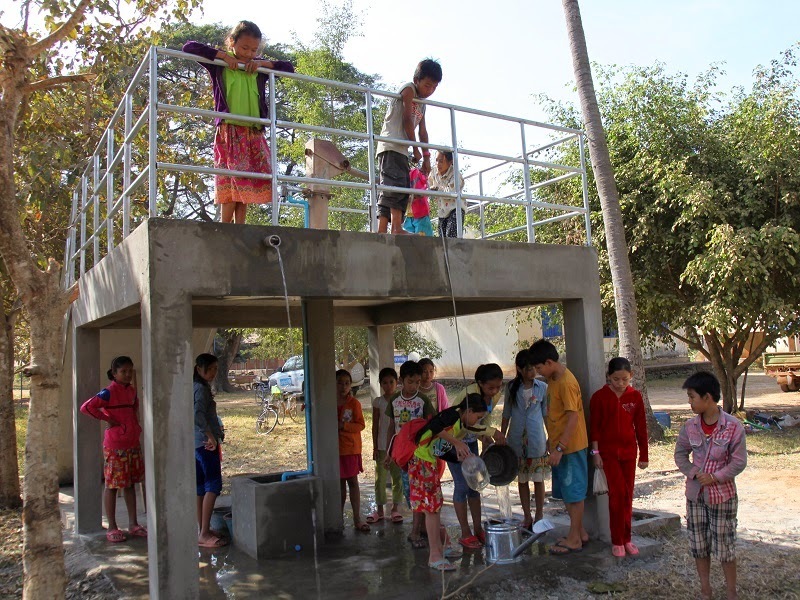 “Since the well has been rehabilitated and elevated, we don’t need to worry about the rainy season anymore,” explains Lorn Leang Heng, Kokor Primary School director. The school well is one of the 275 wells rehabilitated across Cambodia as part of a joint European Union, UNICEF and government initiative to strengthen preparedness and build resilience in flood-prone areas.